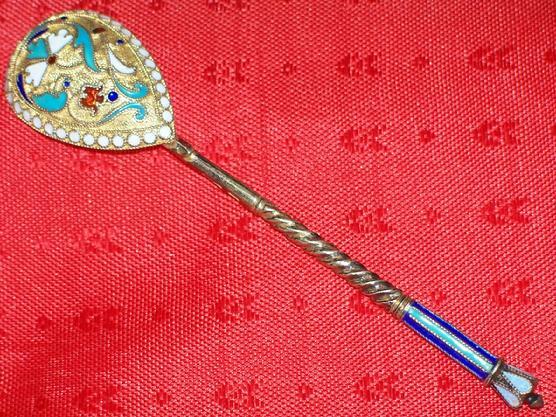 With Beautiful Enamel Workmanship, Turquoise, Deep Blue, White and Red Colors with the Silver Worked into a Spiral Handle, Surmounted by a Crown. 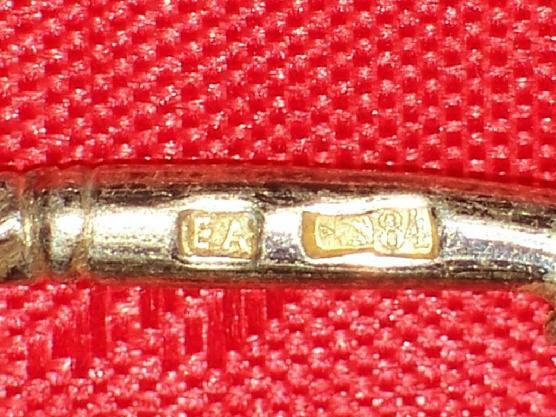 Hallmarked with the Maker's Initials EA, and the 1908-1917 - 84 Mark with the Woman's head looking right, which is probably indicating to the right, thus, 1908-1917. 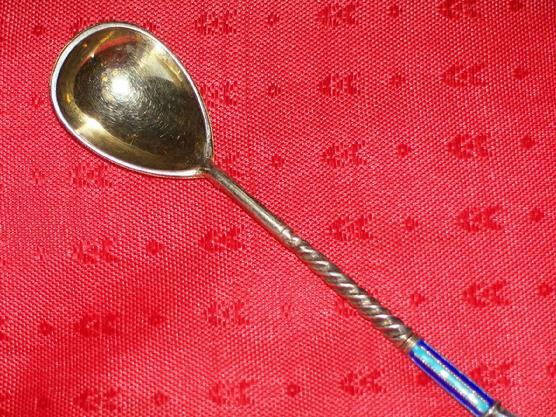 The Spoon Measures a 4 Inches in length. Thus the 84 Represents 84 Zolotniks equaling 875/1000 Fine Silver. The spoon weighs .46 Ozs. 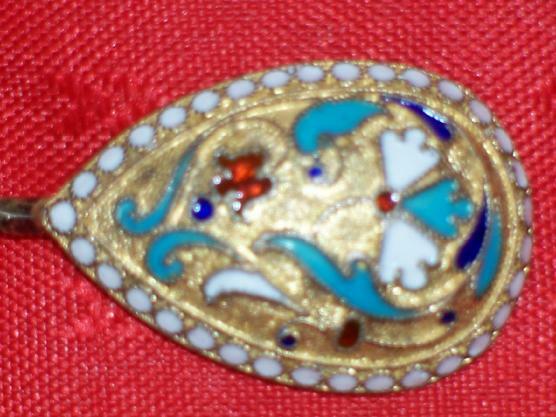 The Condition is Generally Excellent and Original, There is some slight age enamel wear in the enamel of the crown petals.